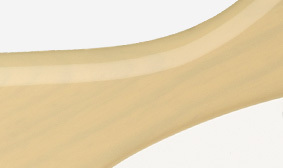 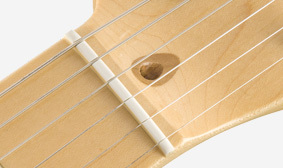 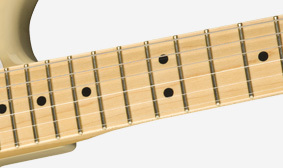 Combining a modern 9.5”-radius maple fingerboard with narrow-tall frets gives this instrument a comfortable fret-hand feel while making it easier to bend notes without fretting out. 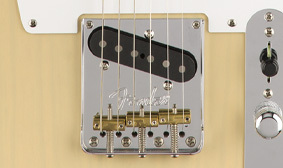 Created to accurately mimic the original Nocaster pickups, these period-correct single-coil pickups have tight low end and clear, balanced midrange. 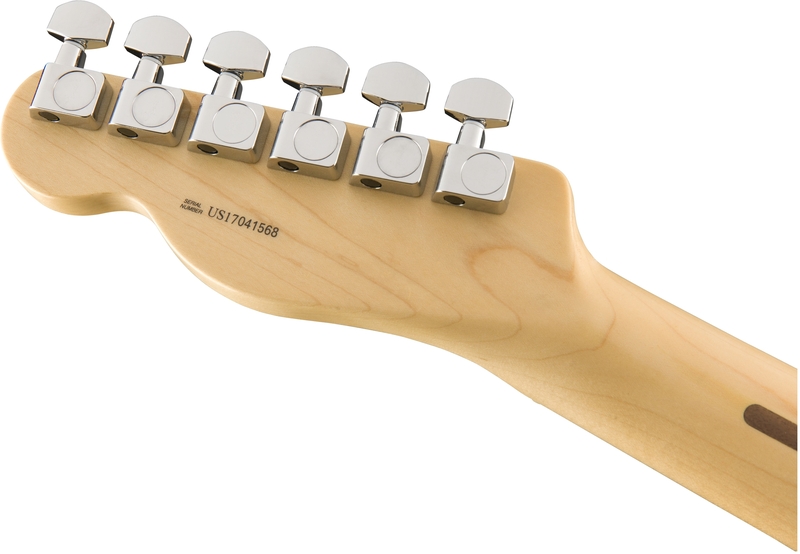 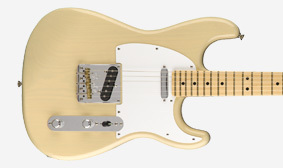 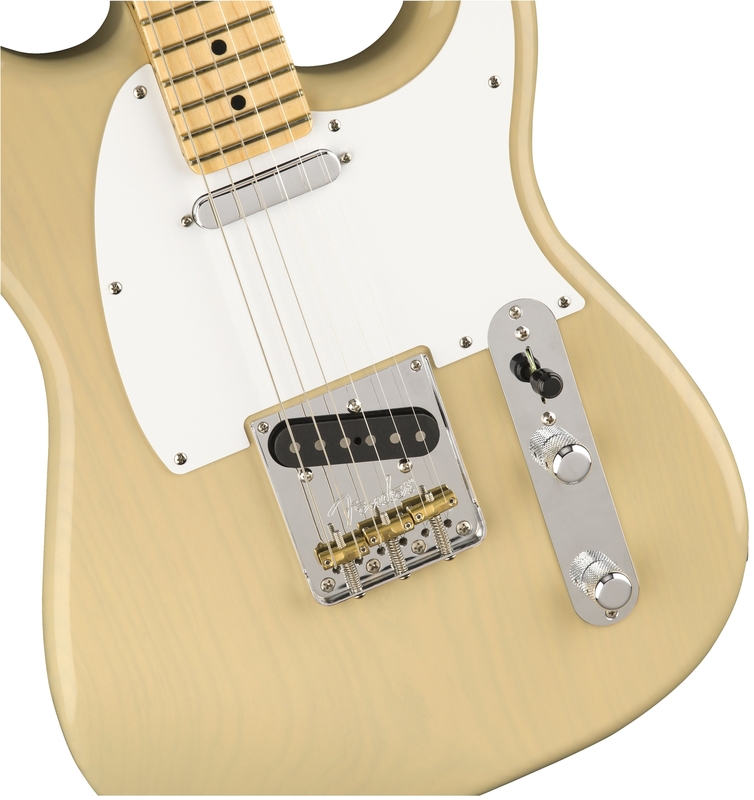 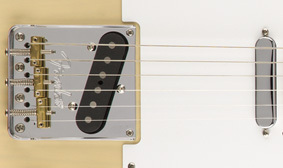 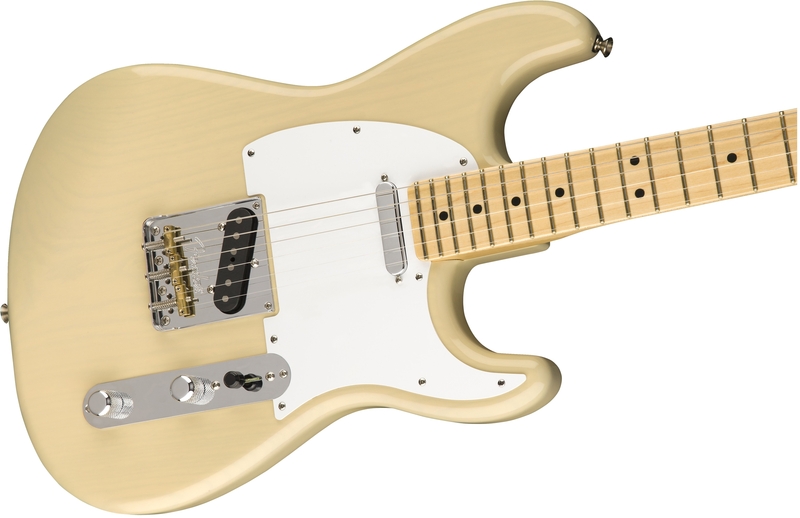 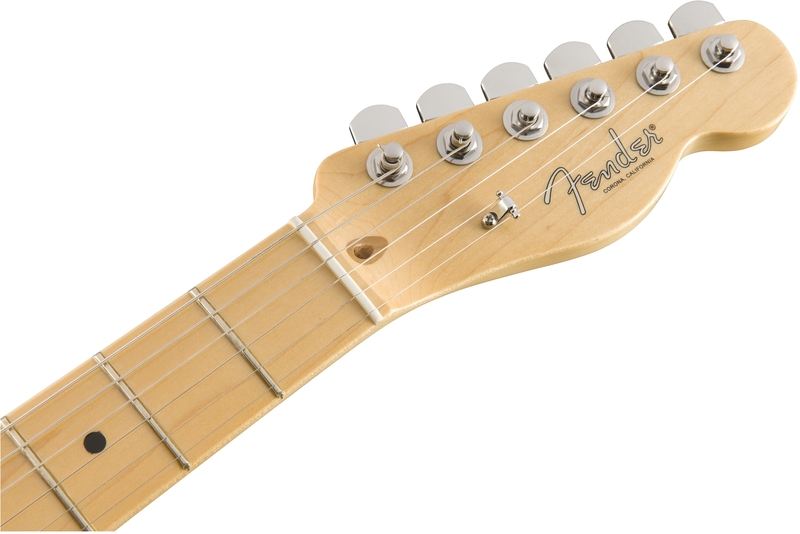 Blending vintage style with modern feel and performance, this Telecaster bridge sports three compensated brass barrel saddles for accurate intonation and vintage-informed tone.